This is the first of a new thread. Music Now Reviews will be a fortnightly feature focusing on what I have been listening to……………. The other day I received my ballot paper for the Soul Tracks Awards 2015. This is something I joined a few years ago at http://www.soultracks.com/ and champions the independent soul artist and labels which are still putting out some very high standard mainstream soul music, away from the dominant sounds of Hip-Hop and Dance music which tend to be the R&B influenced music which crosses over to the Pop Charts. As these are often American releases on small labels and tend to be ignored largely by UK radio there are usually very few nominations that I have heard of. This year, however, due to the wonders of Spotify, a little bit of detective work found all bar one of the Best Album nominees. So, rather than just voting for what I knew, I have over the last few days been listening to those nominated to decide who would get my vote. 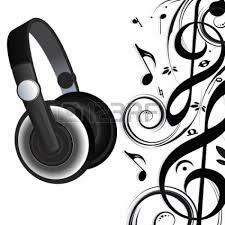 And really I am quite inspired that there is a wide range of good quality soul music being produced. For a time there was a tunelessness and wavering vocals in R&B music as a result of the vast success of artists such as Boyz II Men and Mariah Carey which never really engaged with me. In a world where most Pop music heard on the radio is begin to sound generic and very similar (is it my age?) it was good to hear these Best album nominations were sounding very different and even within an album release there was a much greater range of styles of tracks than would have been the case five or so years ago. So after listening to these albums, which one got my vote? Well, there were a couple of very strong contenders but, as no doubt you will have worked out from the title of this post the one that did it for me was by Lindsey Webster, an artist who I have never heard of before receiving the nominations. I have needed to do some research, as the downside of listening on Spotify is that you do not get the sort of information that you would have got from the CD inserts (and that is often a paltry amount and often pretty illegible compared to the old LP sleeve notes- showing my age again). 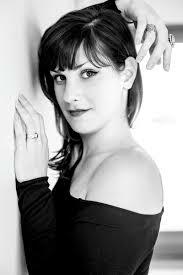 New Yorker Lindsey is a former cello player who turned to singing and whose album is released by Atlanta Records. This is her second album following her first self-titled CD released in 2013. The first thing that is going to grab you is the voice, a rich smokey voice which for me is reminiscent of the great Dusty Springfield, but also references many top quality female vocalists – Sade, Anita Baker, Carole King, Lisa Stansfield amongst them whilst having an individuality which is so rare in these days of so many sounding the same. Songs are well structured and all written by Lindsey alongside Keith Slattery. This is a woman who understands music and song-writing which suggests a lengthy career is ahead of her. All in all, it’s a set of very good songs, beautifully sung and well produced. What more could we ask for? For someone who spends more time listening to old music than new music this is a revelation –the quality of the vocals of the 70’s, the well structured soul songs of the 80’s with a feel which is very 2015. This girl could be big, and hopefully she doesn’t have to do a big club banger to get people buying. Occasionally, an artist can break through with sheer quality – I’m thinking here of early Norah Jones and Rumer even Adele. Given the right push this could be the sound of late 2015. This piano-led track has a feel of the very best of Alicia Keys. The track “In Love” reminds me of the type of song Dusty did with The Pet Shop Boys (eg: “Nothing Can Be Proved”). There’s also touches of Swing Out Sister and a good dance tune in “I’m Strong”. I’m making these comparisons purely because I want fans of these artists to go and seek this CD out – because Lindsey is very much her own artist . I was delighted to opt for this album as the Best Independent Soul Album and also voted for her in her nomination as Best Newcomer . I can no longer urge you to vote as the ballot has closed (results due on Dec 7) but she seems to me the kind of artist that we embrace here in the UK and is worthy of your attention. 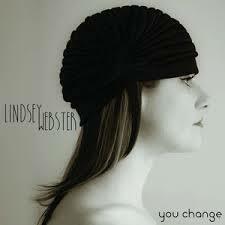 This entry was posted in Music Now and tagged CDs, Lindsey Webster, Soul Music, Soul Track Awards. Bookmark the permalink. Good review Phil, but I do wish you wouldn’t harp on about your age, if only because I am sure I am older than you and the wrinkle cream is giving me more wrinkles. If memory serves me correctly, LPs used to have jackets that gave a fair amount of information and sometimes a sheet with the lyrics on them inside (depending on which albums you bought). Our son would like an ‘old fashioned record player’ for Xmas, he apparently bought several LPs recently. We have a record player that plugs into a computer and you can edit out the crackling, that was all part of it. Ah, the good old days. We went to London last week and spent a bit of time in Fopp – the large music/ book shop in Covent Garden and was amazed to see how much new vinyl they were selling so things have gone round full circle. I got rid of all my records about ten years ago…………………..(although I did make sure I’d replaced the majority with CDs first). Okay………..I’m going to try not to mention my age – but it’s quite hard when you’re writing about music as it seems to be far more age sensitive than books!! I do sometimes feel like my Dad when we used to subject him to Top Of The Pops!